Our TPS-GSU Gazette (eZine and Blog) focuses on Folklife in celebration of diversity in the section on National Focus from the Library of Congress. In our State Focus section of this month’s Gazette, we bring your attention to a recent presentation on the GSU Campus on the topic of Tolerance, supported by primary sources. Later this month, our monthly email feature, Lest We Forget, will focus on the significant contributions of African Americans in the expansion of railroads in our country. 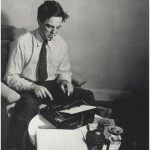 Alan Lomax at typewriter, ca. 1940s. “To mark the centennial birthday of the influential folklorist Alan Lomax (1915-2002), the American Folklife Center presents a year-long series of projects, events, and activities to celebrate the Lomax family’s contributions to the preservation and promotion of traditional music and dance and to highlight the depth and diversity of the American Folklife Center’s Lomax family collections. CLICK HERE FOR SCHEDULE OF EVENTS AND FULL DETAILS ABOUT THE CENTENNIAL. Alan Lomax in the Caribbean, 1962. 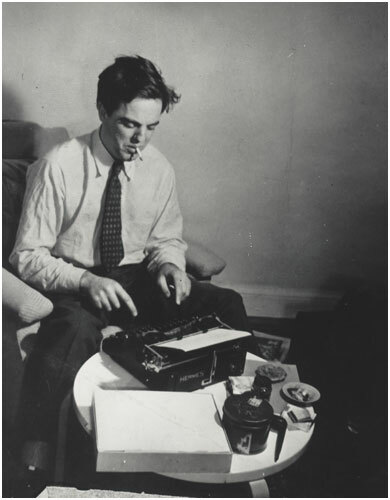 During his long and productive career, Alan Lomax undertook important folk music collecting expeditions throughout the United States, Europe, and the Caribbean; recorded hundreds of legendary performers; documented innumerable songs and tunes, many of which have become iconic cultural treasures; wrote scholarly books; and produced popular publications, films, and radio series about performance traditions throughout the world. On February 17th, Director Lucianne Brown, Ph.D., presented to GSU staff and students on the subject of tolerance. Whether you’re a professor or a student, the use of Primary Sources enriches your understanding of Black History. Participants were introduced to the celebration of Black History Month through the eyes of the Library of Congress’ Primary Sources.